Designed to comply with AS1940 Internal Storage. 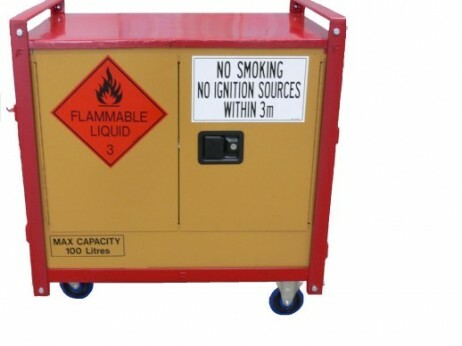 Ideal to have one on each floor for the workers to store the flammable goods as they leave for the day. 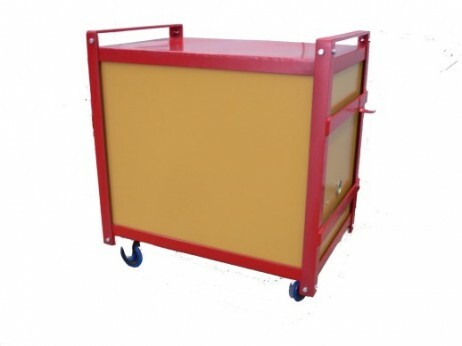 Transport trolley has 2 fixed and 2 swivel wheels. Hirer must obtain all necessary permits. 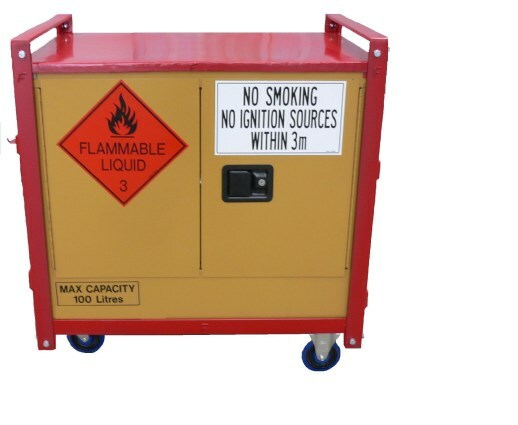 Flammable Safety Cabinets allow you to safely contain hazardous chemicals to reduce the risk of fire, protecting both personnel and facilities. 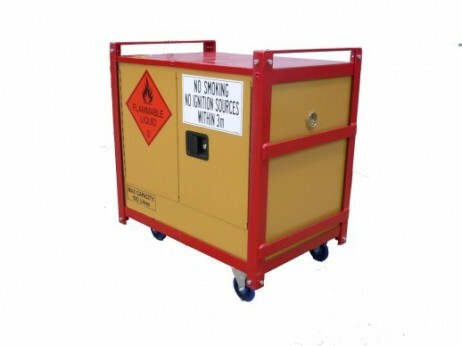 Improve efficiency by having identified, organized & segregated dangerous liquids stored near their points of use. Complies with EPA regulations. Exceeds AS1940.